By either drying or pressing your fresh flowers, you can creatively save your summer blooms to be enjoyed year round! 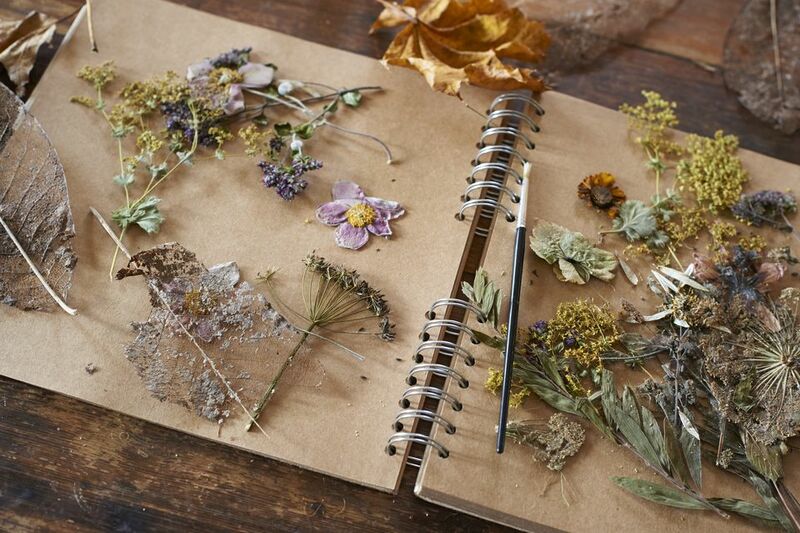 Both dried flowers and pressed flowers can be used to make fun crafts, gifts, and decorations. When it comes to picking your flowers, no matter whether you are drying them or pressing them, it is best to pick them on a dry day. Try to do it in the morning, as soon as any dew has dried. You should also try to pick your flowers just before they reach the full bloom stage. Some flowers do open more as they dry. The simplest way we know to dry flowers is by hanging up your flowers. Quite simply, you remove unwanted leaves, divide the flowers into small bunches, and tie them together with string, yarn, or rubber bands. Hang the flowers upside down in a warm, dry, dark place. It must be dry so the flowers won't rot, and it should be as dark as possible because too much light might make the flowers fade. This method usually takes a couple of weeks. The length of time will vary depending on the kind of flowers you are drying, the humidity, and the temperature. Check on your flowers every 2-3 days. You want them dry to the touch. You can store your dried flowers in a dark, sealed container until ready to use. Gather the flowers you want to press, along with some newspaper, tissue paper, a heavy book (a phone book works well), and a large brick or rock. First set out a piece of cardboard that is almost the same size as your book. Lay a piece of newspaper (about the same size of your cardboard piece) on top of that, followed by a piece of tissue paper (also about the same size as your cardboard piece). Place the flowers on the tissue paper. Make sure none of the flowers touch one another or hang over the side of the tissue paper. Cover the flowers with another piece of tissue paper, then newspaper, and then cardboard. You can continue this process, one on top of the other until all your flowers are prepared. Once your stack is done, top it off with your heavy book and the brick or stone. This method usually takes two to four weeks. While drying and pressing flowers works well to save your flowers, you can also save the color of your flowers and even leaves. If you use flower pounding techniques, you can create colorful fabric and even paper and other flower crafts using your favorite blooms.